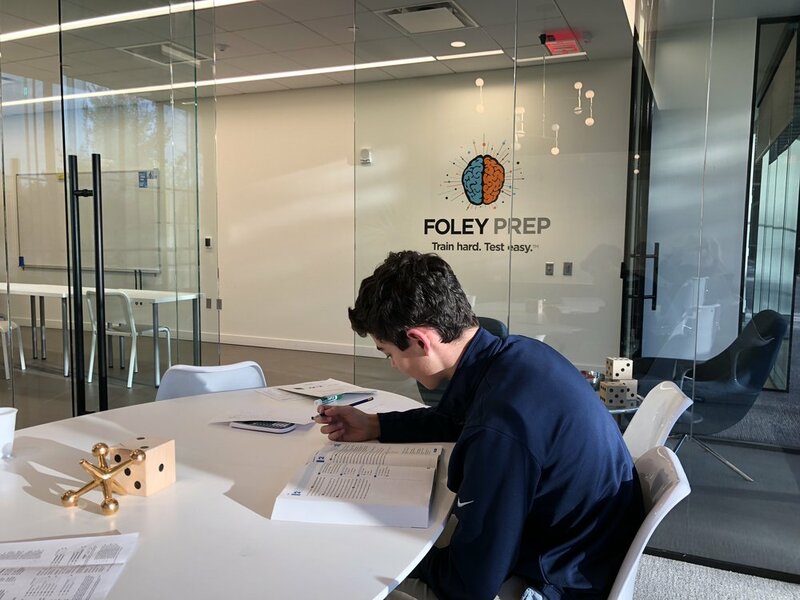 Holmdel - Bell Works Hub — Foley Prep | Train hard. Test easy. Attention Holmdel High School students! We now have a shuttle departing HHS Monday-Friday at 3:20 and 4:20. Contact us today to get your pass! Welcome! Would you like to swing by for a visit? Please call or write us to book an appointment: if you just drop by, chances are we're teaching or tutoring. Most people start by registering for a free diagnostic SAT or ACT. We have them every Saturday and Sunday at all of our hubs. After taking the test, every family gets a free 20 minute consultation to devise a prep plan. Finding Suite 3103: Park and enter at Visitor's Entrance. The receptionist will direct you to walk past the cafe area, make a left, and we are just down the hall along the west side of the building. We are on the ground floor. Play this YouTube video to see the path inside Bell Works. 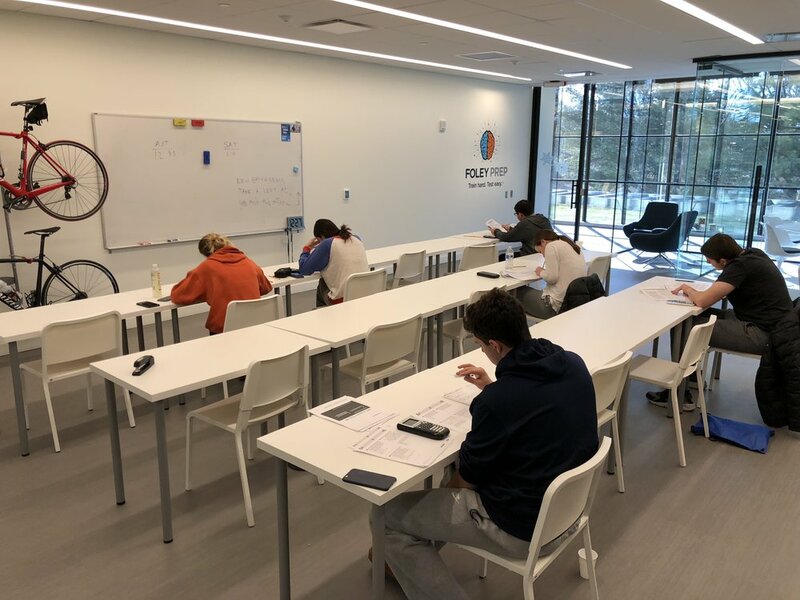 All students are welcome to take classes at any Foley Prep Hub, including the Rumson-Fair Haven Hub. 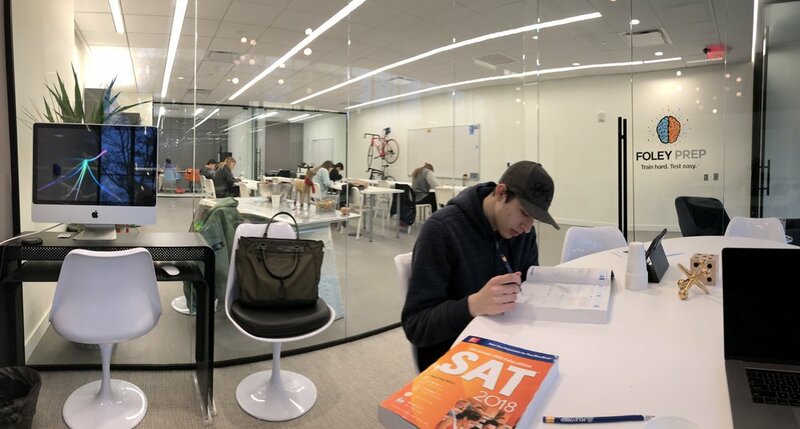 We will help you determine which test is better: SAT or ACT. Practice SATs and ACTs every Saturday & Sunday during the school year, and 6 times a week during the summer. Classes 7 Days a week except November 21,22, December 24-26, and January 1st - keep scrolling for schedule. 3 meeting rooms and one big testing room. Inspiring ambiance in a masterwork of architecture.